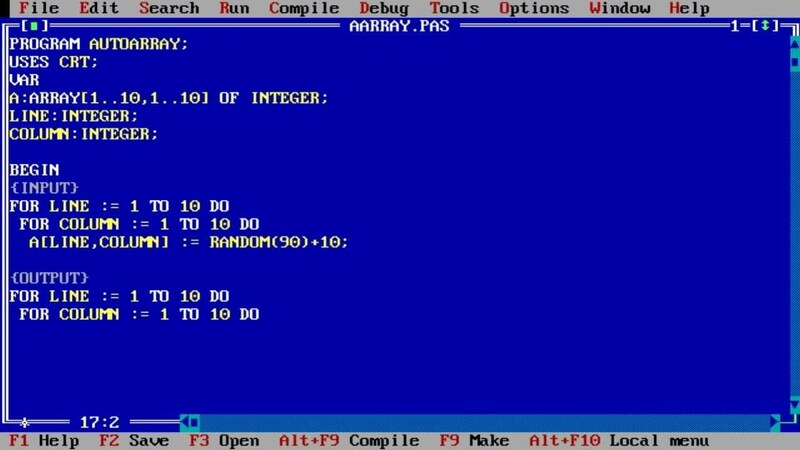 Turbo Pascal is a software development system that includes a compiler and an Integrated Development Environment (IDE) for the Pascal programming language running under CP/M, CP/M-86, and MS-DOS, developed by Borland under Philippe Kahn's leadership. 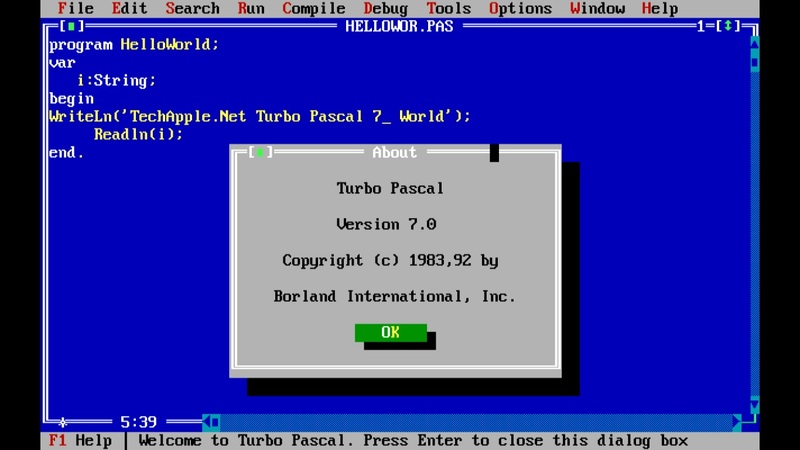 The name Borland Pascal was generally reserved for the high-end packages (with more libraries and standard library source code) while the original cheap and widely known version was sold as Turbo Pascal. The name Borland Pascal is also used more generically for Borland's dialect of Pascal. The IDE and editor commands conformed to the Microsoft Windows user interface guidelines instead of the classic TP user interface. 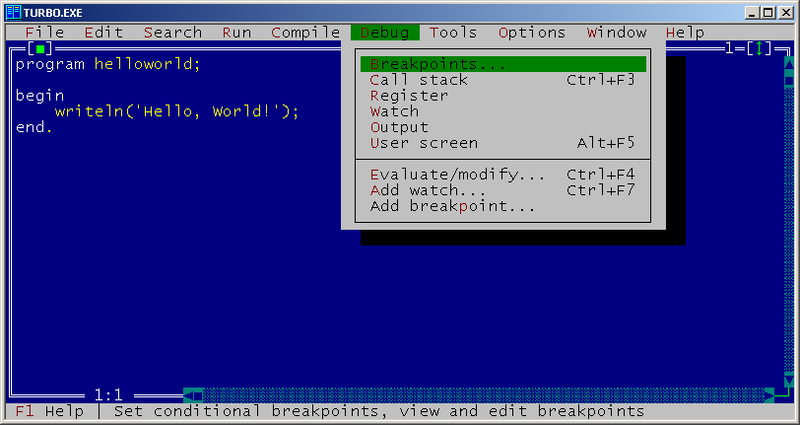 The support for Windows programs required the ObjectWindows library, similar but not identical to that for the first release of Borland C++, and radically different from the earlier DOS Turbo Vision environment. Turbo Pascal was superseded for the Windows platform by Delphi; the Delphi compiler can produce console programs in addition to GUI applications, so that the use of Turbo and Borland Pascal became unnecessary. All Turbo Pascal reviews, submitted ratings and written comments become the sole property of Windows 7 download. You acknowledge that you, not windows7download, are responsible for the contents of your submission. However, windows7download reserves the right to remove or refuse to post any submission for any reason. Windows 7 Download periodically updates pricing and software information of Turbo Pascal full version from the publisher, but some information may be out-of-date. You should confirm all information. Using warez version, crack, warez passwords, patches, serial numbers, registration codes, key generator, pirate key, keymaker or keygen for Turbo Pascal license key is illegal and prevent future development of Turbo Pascal. Download links are directly from our mirrors or publisher's website, Turbo Pascal torrent or shared files from free file sharing and free upload services, including Rapidshare, MegaUpload, YouSendIt, SendSpace, DepositFiles, DivShare, HellShare, HotFile, FileServe or MediaFire, are not used.